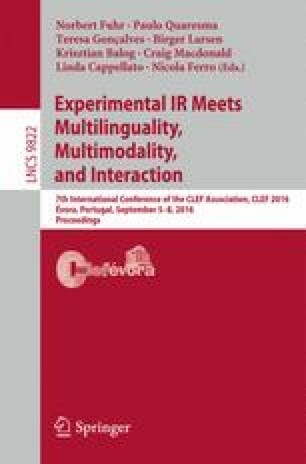 This paper presents an overview of the ImageCLEF 2016 evaluation campaign, an event that was organized as part of the CLEF (Conference and Labs of the Evaluation Forum) labs 2016. ImageCLEF is an ongoing initiative that promotes the evaluation of technologies for annotation, indexing and retrieval for providing information access to collections of images in various usage scenarios and domains. In 2016, the 14th edition of ImageCLEF, three main tasks were proposed: (1) identification, multi-label classification and separation of compound figures from biomedical literature; (2) automatic annotation of general web images; and (3) retrieval from collections of scanned handwritten documents. The handwritten retrieval task was the only completely novel task this year, although the other two tasks introduced several modifications to keep the proposed tasks challenging. The general coordination and the handwritten retrieval task have been supported by the European Union (EU) Horizon 2020 grant READ (Recognition and Enrichment of Archival Documents) (Ref: 674943), EU project HIMANIS (JPICH programme, Spanish grant Ref: PCIN-2015-068) and MINECO/FEDER, UE under project TIN2015-70924-C2-1-R. The image annotation task is co-organized by the VisualSense (ViSen) consortium under the ERA-NET CHIST-ERA D2K 2011 Programme, jointly supported by UK EPSRC Grants EP/K01904X/1 and EP/K019082/1, French ANR Grant ANR-12-CHRI-0002-04 and Spanish MINECO Grant PCIN-2013-047. This research was supported in part by the Intramural Research Program of the National Institutes of Health (NIH), National Library of Medicine (NLM), and Lister Hill National Center for Biomedical Communications (LHNCBC).